Minor Hotels announces an exciting series of General Manager appointments across its Anantara and Avani brands in the Indian Ocean and both North and Southern Africa. 2019 will see the opening of a number of new Anantara resorts, including Anantara Mauritius Resort and Anantara Tozeur Resort in Tunisia as well as continued opportunities at existing properties The Royal Livingstone Victoria Falls Zambia Hotel by Anantara and Avani Victoria Falls Resort. Coetzer Deysel is appointed General Manager of Anantara Mauritius Resort, opening in Q4 2019. Coetzer joined Anantara Hotels, Resorts & Spas in February 2016 as Cluster General Manager in the Maldives for Anantara Dhigu, Anantara Veli and sister property Naladhu Private Island. During this time, Naladhu was voted the #1 Resort in The World in the Conde Nast Traveler Readers’ Choice Awards 2017 and #1 Resort in the Indian Ocean in the Conde Nast Traveler Readers’ Choice Awards 2018. Coetzer is no stranger to different environments and to tackling new frontiers. Having grown up in South Africa, his career in hospitality started out leading safaris in Botswana, Zambia and Zimbabwe. He then returned to South Africa where he furthered his career in a number of acclaimed South African game reserves. 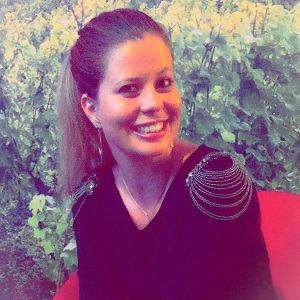 In 2007, Coetzer joined Starwood Hotels & Resorts as Resort Manager at W Retreat & Spa Maldives, before being promoted to General Manager at W Retreat Koh Samui in Thailand. He then held various other GM positions with Starwood in China and a Vice President of Operations role for the Naked Retreats Hotel Group, based in Shanghai, China. With a focus on guest satisfaction and a knack for pleasing high end, discerning travellers, Coetzer’s career has spanned over twenty years and taken him to more than seven countries. In his most recent cluster role, Coetzer also focused on introducing several sustainable initiatives such as the adoption of Solar Power and the launch of the Minor Hope programme for underprivileged Maldivian students. Lotfi Masbahi has been appointed General Manager of Anantara Tozeur Resort, Tunisia, to lead the team during the pre-opening and opening of the resort, which is scheduled for September this year. Lotfi started his career in the industry working in both Food and Beverage and Human Resources. He has demonstrated his skill in managing the pre-opening of hotels, notably in the role of Opening General Manager with La Cigale Tunis Hotel, a member of The Leading Hotels of the World and named Africa’s Leading New Hotel in the 2015 World Travel Awards. Lotfi, who speaks Arabic, French and English, joins Anantara from his previous position with Radisson Hotel Group as General Manager of Radisson Blu Sousse. Laurie Burr is appointed Cluster General Manager for The Royal Livingstone Victoria Falls Zambia Hotel by Anantara and Avani Victoria Falls Resort. Hospitality veteran Laurie Burr is a tireless, hands on General Manager who works hard to ensure that, not only his guests are very well looked after, but that his operation and team are cared for, developed, taught, guided and groomed for the future. 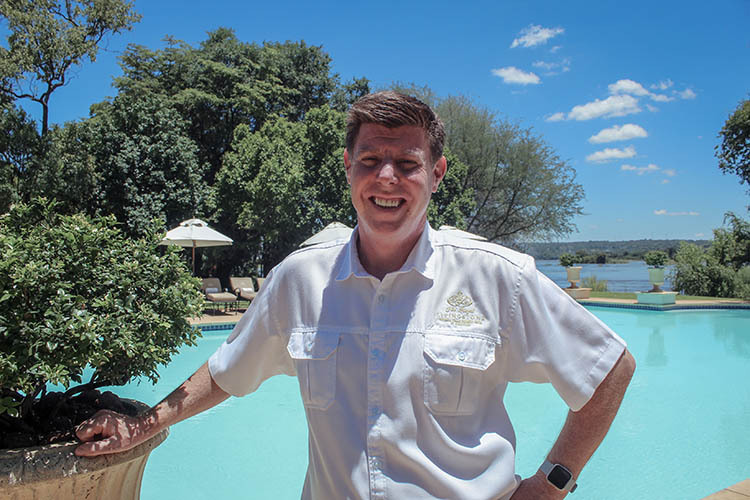 Laurie joins Anantara from Legacy Hotels & Resorts, South Africa and Zimbabwe, where he was Area General Manager looking after a portfolio of five hotels. Prior to that, Laurie spent several years with Soneva Resorts in the Maldives as the Area General Manager. Earlier still he built his career as a commis chef at the London Hilton with tenures at two legendary London hotels – The Dorchester and The Savoy, before moving to the Caribbean to continue as a Chef. A British national, Laurie possesses over three decades of proven success in analysing multinational hotels and resorts’ critical business requirements, with a focus on operational efficiency, creating unique guest experiences and better staff environments for enhancing competitiveness, increasing revenues and improving customer service offerings. Minor Hotels is an international hotel owner, operator and investor currently with 517 hotels in operation. Minor Hotels passionately explores new possibilities in hospitality with a diverse portfolio of properties designed intelligently to appeal to different kinds of travellers, serving new passions as well as personal needs. Through our Anantara, AVANI, Oaks, Tivoli, M Collection, NH Collection, NH, nhow, Elewana, Marriott, Four Seasons, St. Regis, Radisson Blu and Minor International properties, Minor Hotels operates in 53 countries across Asia Pacific, the Middle East, Africa, the Indian Ocean, Europe, South America and North America.